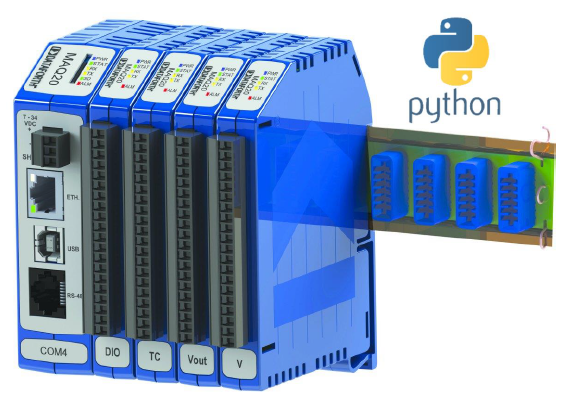 The MAQ®20 Python API uses an object-oriented approach for communicating with MAQ20 systems, which provides an intuitive interface where the low-level Modbus commands are hidden from normal use. Users can focus on solving the measurement problems at hand, instead of re-inventing how to communicate with modules. Before using the MAQ20 Python API, you may find it helpful to be acquainted with basic Python programming and understand the concept of objects. Communication: to MAQ20 systems from a host PC. Address offsetting: When a module is registered in a system, addresses are offset by 2000 * R, where R is the Registration Number. The API uses relative addressing for the modules, this means that when using low-level Modbus commands, 0 to 1999 are valid addresses. Counts to Engineering units: the API reads information it needs to know at initialization to do this conversion. Rounding: when dealing with small quantities such as millivolts it can get tedious to look at a bunch of trailing decimals. 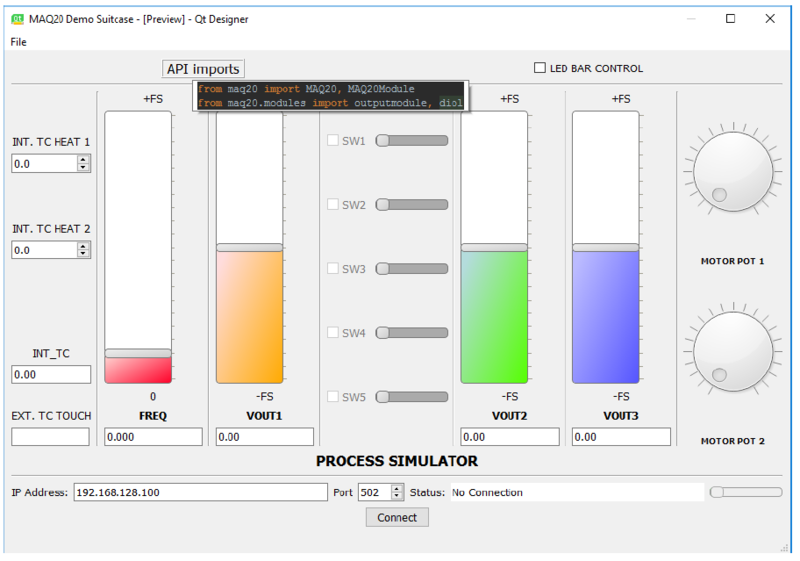 The API does meaningful rounding to any module up to 3 significant units of Eng. units per count. Use the MAQ20 Software and User Manuals download center to access all MAQ20 Software.